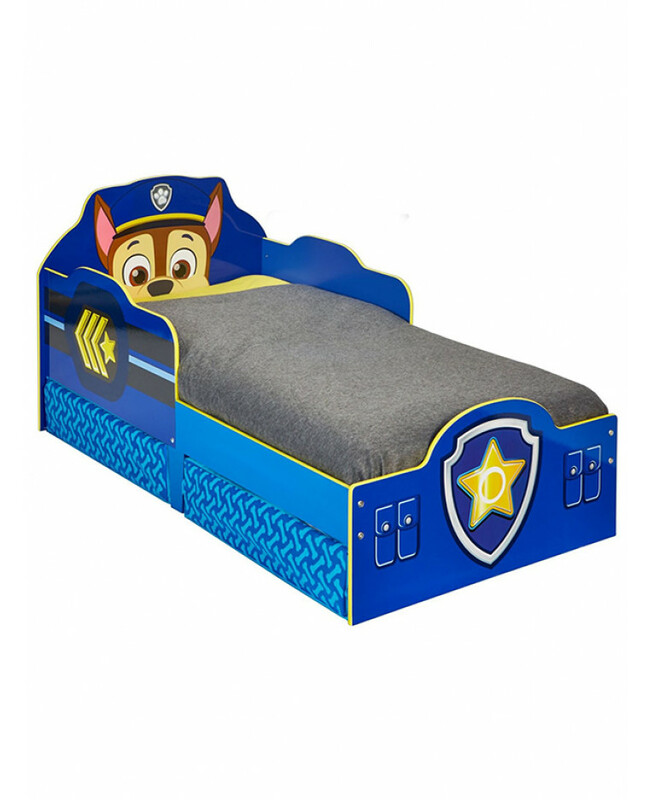 The Paw Patrol Chase toddler bed eases your little one into life in a grown-up bed. 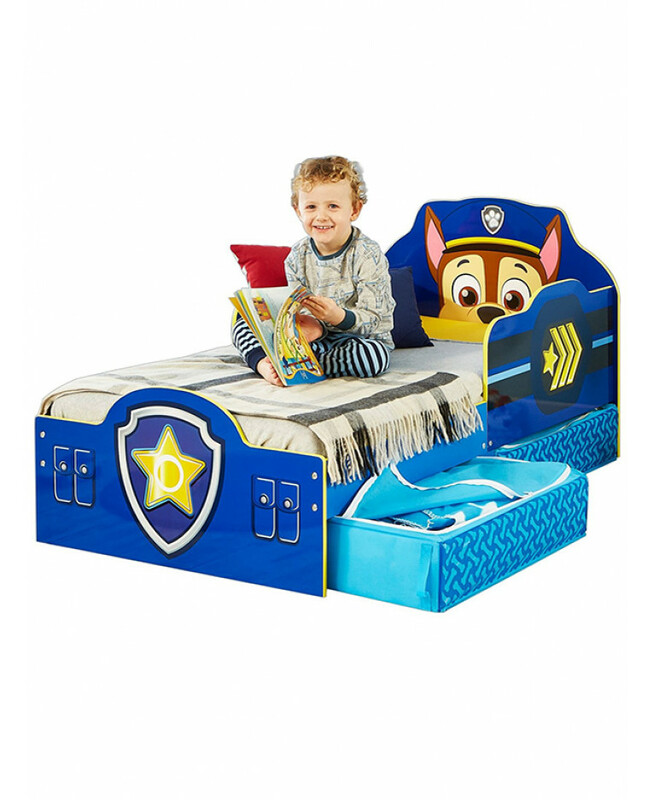 Ideal for children over 18 months, the toddler bed gives them room to grow, and comes with built-in side panels to keep them safe at night. 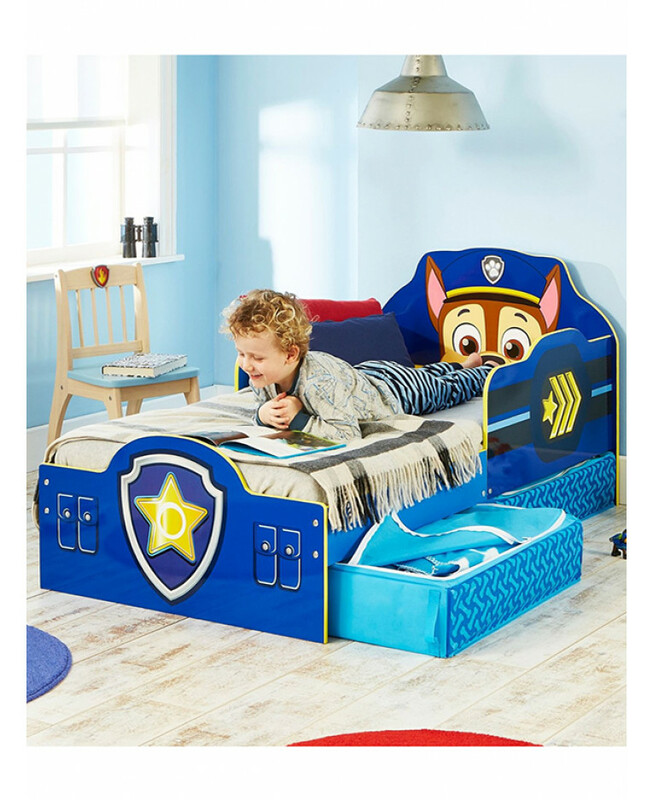 Keep their room tidy with this compact toddler bed, which comes with under-bed storage. 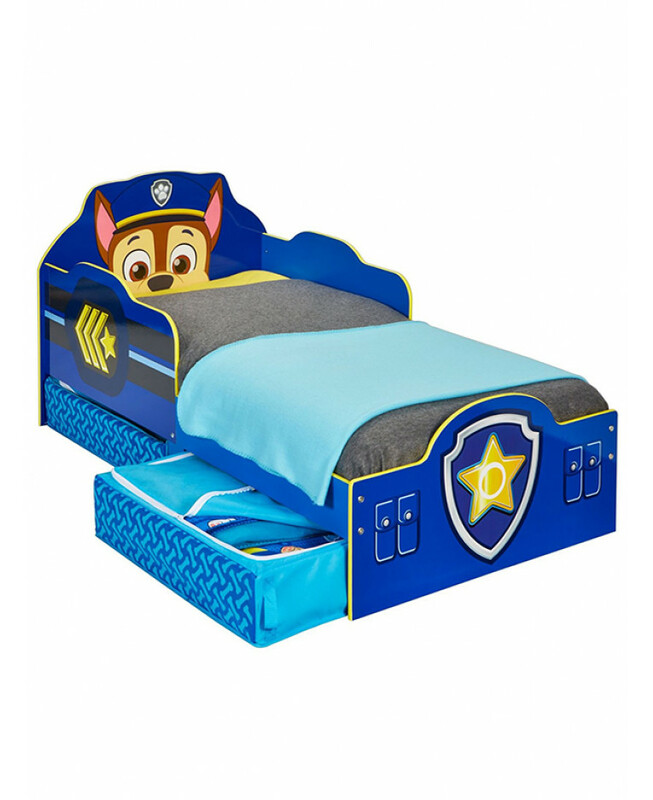 Give your little one an uninterrupted night’s sleep with the Chase bed, with Pawsome police and traffic dog emblems. Designed to take your little one through until they’re ready for a single bed, the toddler bed gives them plenty of room to roll over in the night from 18 months all the way to 4 years old. And with safety side panels, you don’t have to worry about them tumbling out. Your little one gets a sleepover with their favourite puppy pal every night thanks to the Paw Patrol toddler bed. 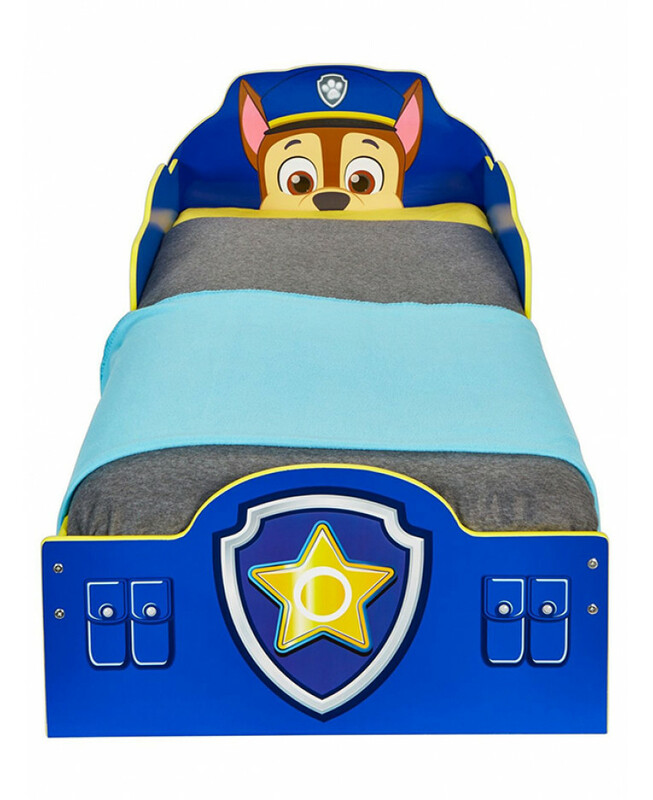 The kids’ bed features Chase from Paw Patrol, plus the Paw Patrol badge on the front panel. 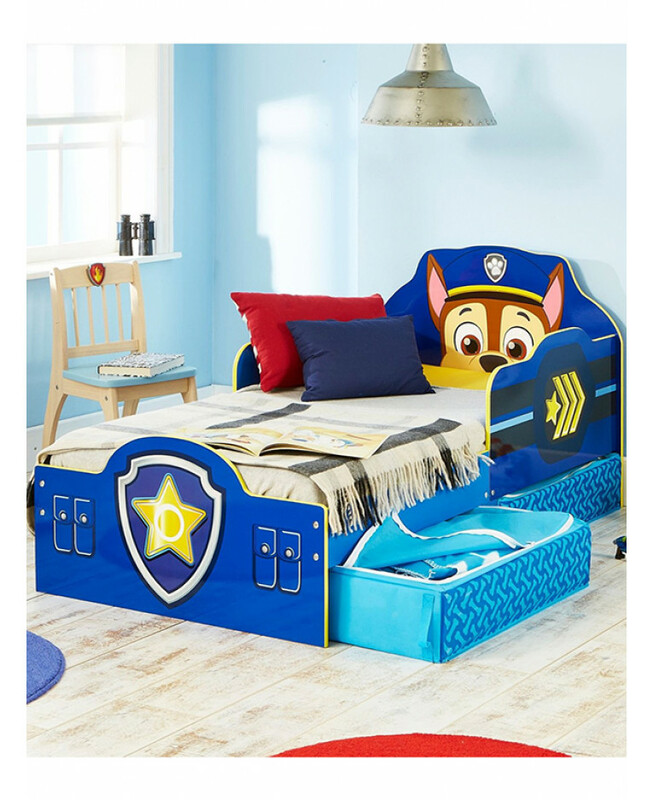 You can even get matching Paw Patrol bedding to complete the total Paw Patrol bedroom look. Compact at just 145cm long, by 77cm wide and 68cm high, the Chase toddler bed fits neatly in your little one’s bedroom. 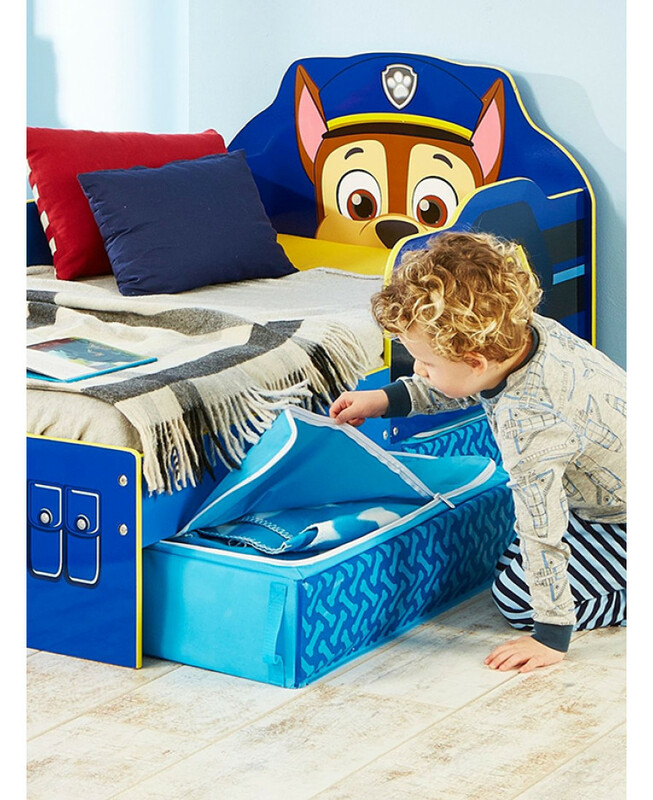 Two under-bed storage drawers are ideal for all their toys and games or even clothes. The toddler bed is designed to fit a 140cm x 70cm mattress.